Syntorial, Educative Software from Audible Genius. 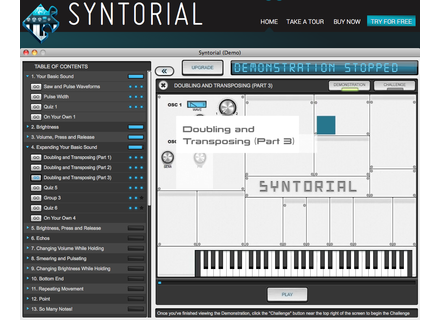 For the next 12 days, Joe Hanley's Syntorial Synth Programming Tutorial is available for 40 % off at VSTBuzz. 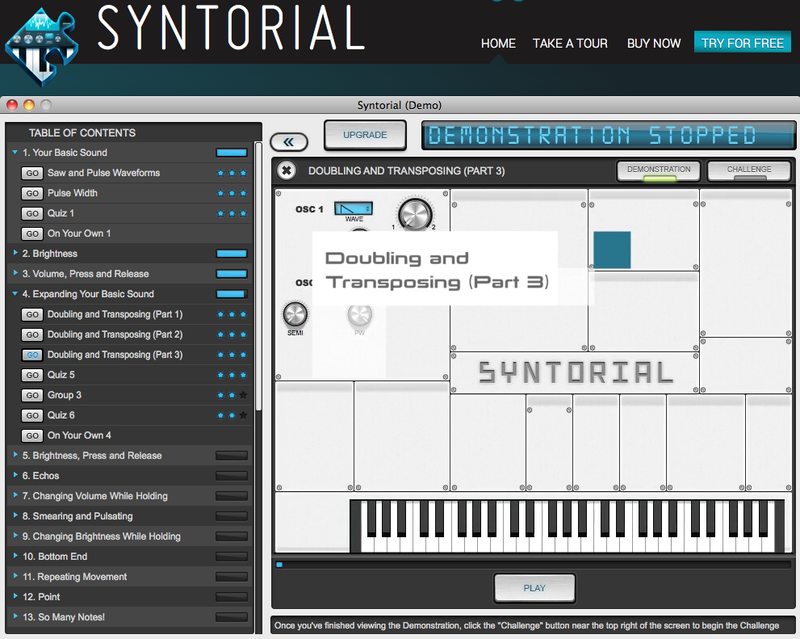 Syntorial is described as a video game-like training software, that will teach you how to program synth patches by ear. With almost 200 lessons, combining video demonstrations with interactive challenges, it provides the basics for programming patches on a built-in soft synth, reportedly allowing you to learn everything you need to know to start making your own sounds with ease. It is currently available for €69.99 instead of €115.99 at vstbuzz.com. Kush Audio introduces Omega Transformer plugins Kush Audio introduces the Omega Transformer plugins, a series of two preamps emulations based on API and Neve models. Rhythmic Robot releases Patchvault Poly6 Factory Rhythmic Robot has released Patchvault Poly6 Factory Set A & Set B, each emulating 32 factory patches from the warm and characterful Korg PolySix. Waves presents X-FDBK feedback eliminator Waves presents X-FDBK, a plugin designed to identify the precise frequencies that cause feedback and surgically cut them.